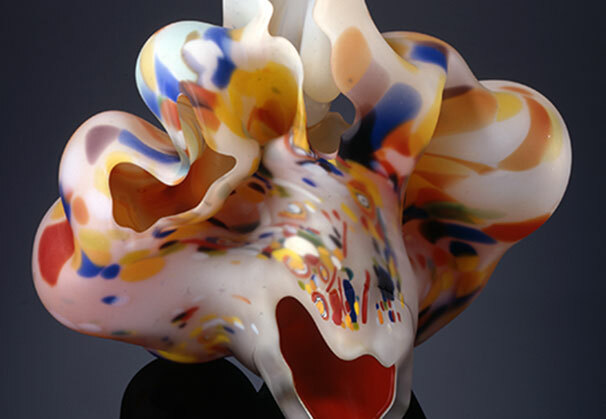 American artist Marvin Lipofsky (1938-2016) launched his academic career in 1962 in Harvey Littleton’s class and helped build the first studio glass furnace. 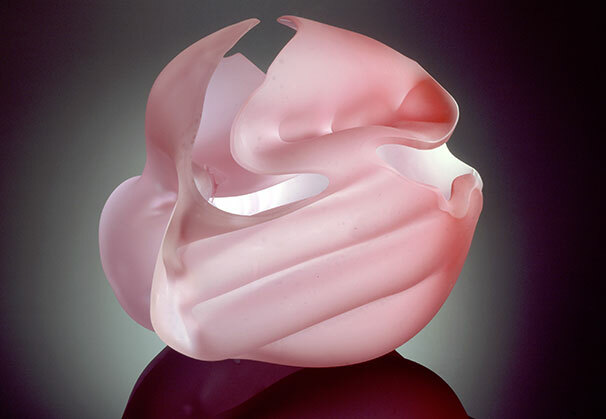 Founder of glass programs at the University of California at Berkeley and California College of the Arts, Lipofsky’s work influenced artists and curators. 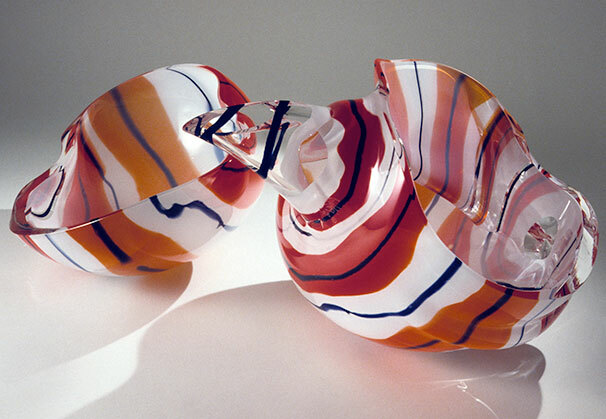 His work is highly expressive and important to the American story of contemporary glass. 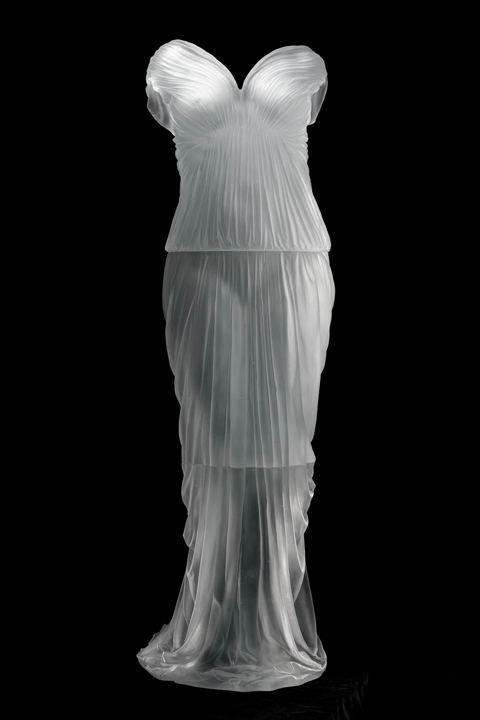 Lipofsky is represented by Micaela Contemporary Projects, California. 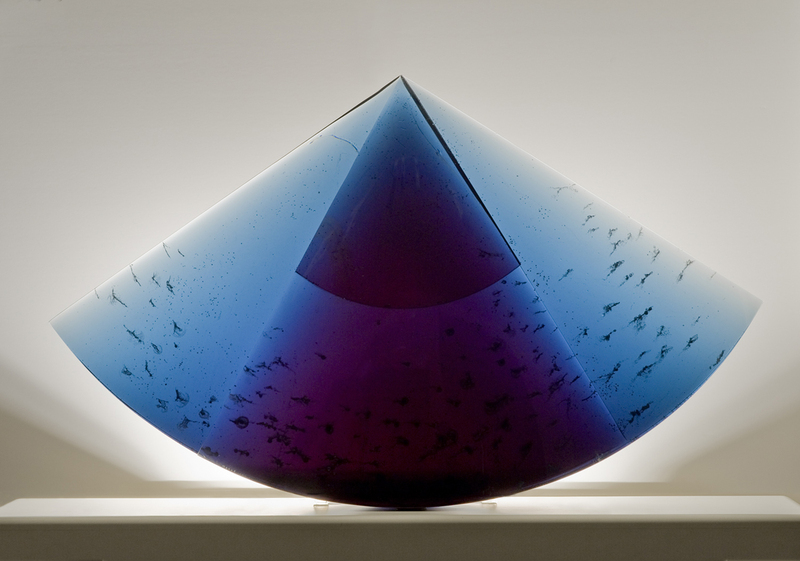 California Loop Series #28, Berkeley, CA; 11 x 20 x 13 inches; engraved, blown and flocked glass. 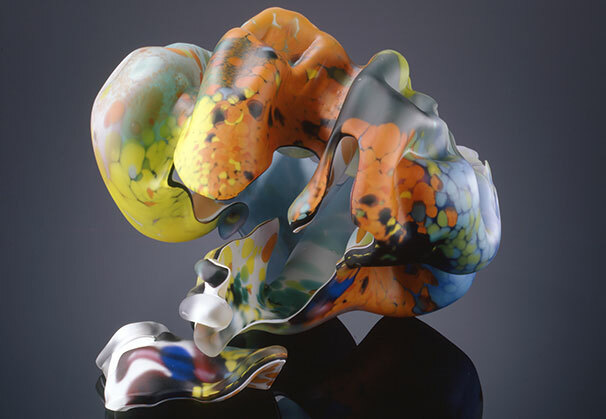 “Marvin Lipofsky’s approach to sculpture is direct, expressionistic and abstract — an energetic attack on the material. 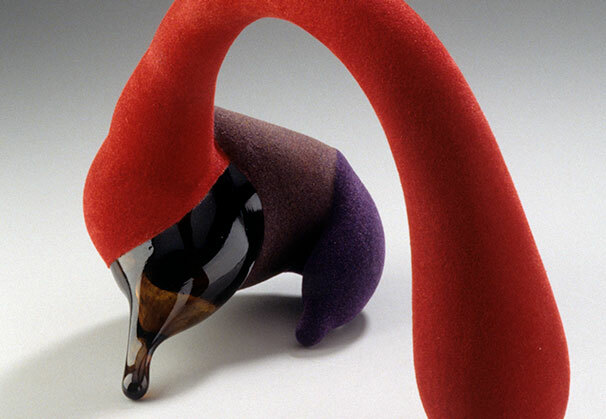 When he worked in clay, he never concerned himself with function. 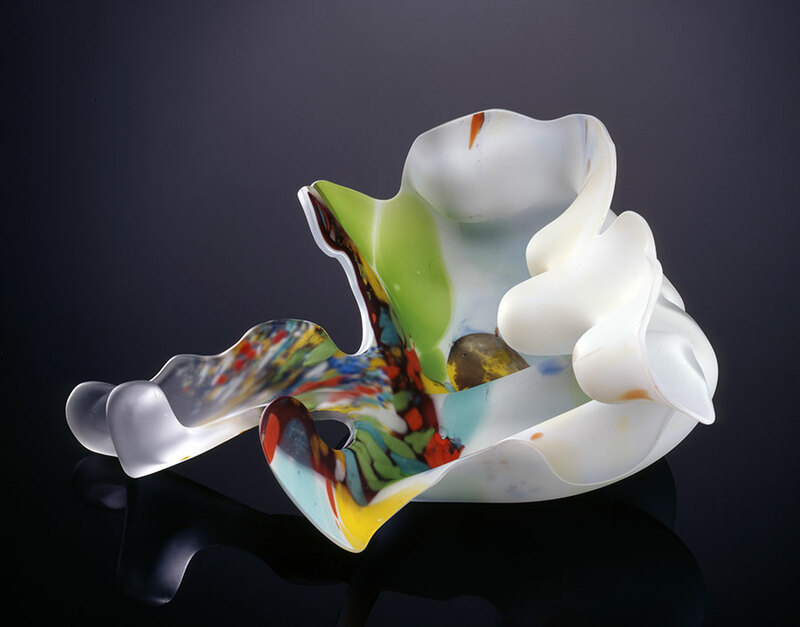 In the spring of 1963 when he came to glass, he brought a mature approach and quickly identified with the process. 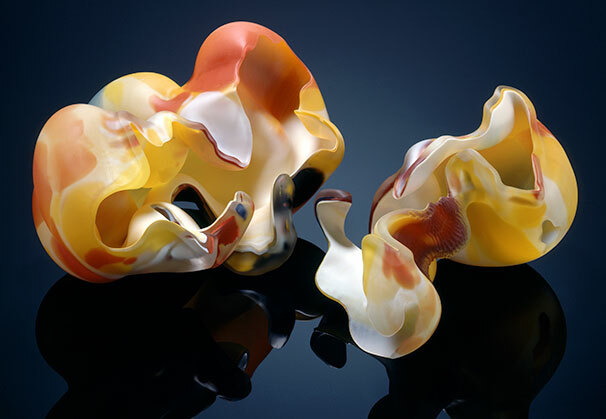 Touching on a wide variety of techniques, his attack, his energy, his movement, was entirely personal and his form-sense grew with his ability to work, to devise, to improvise. 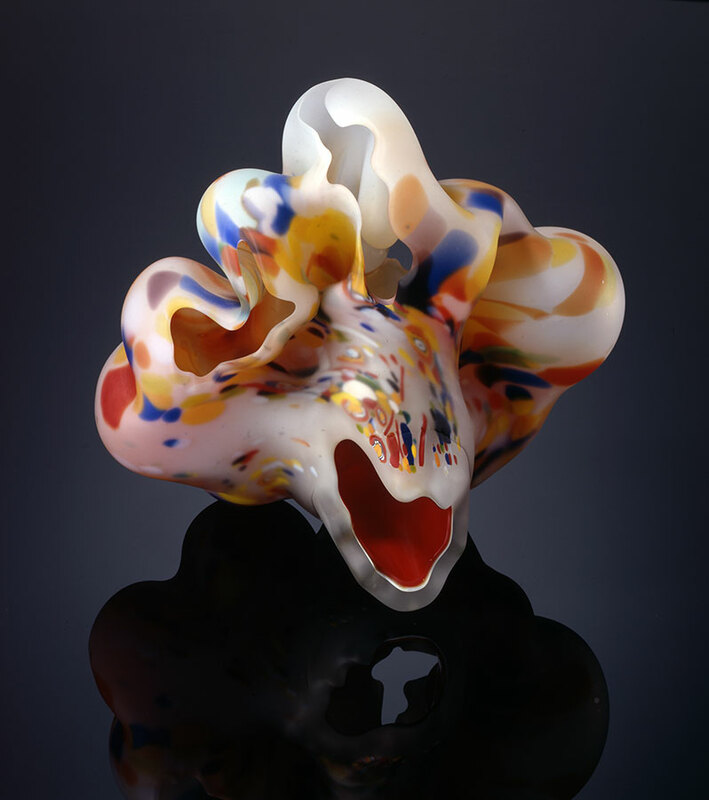 "He has, in addition to free-blowing, incorporated mold-blowing, cutting, etching, sandblasting, and electroplating in his work. 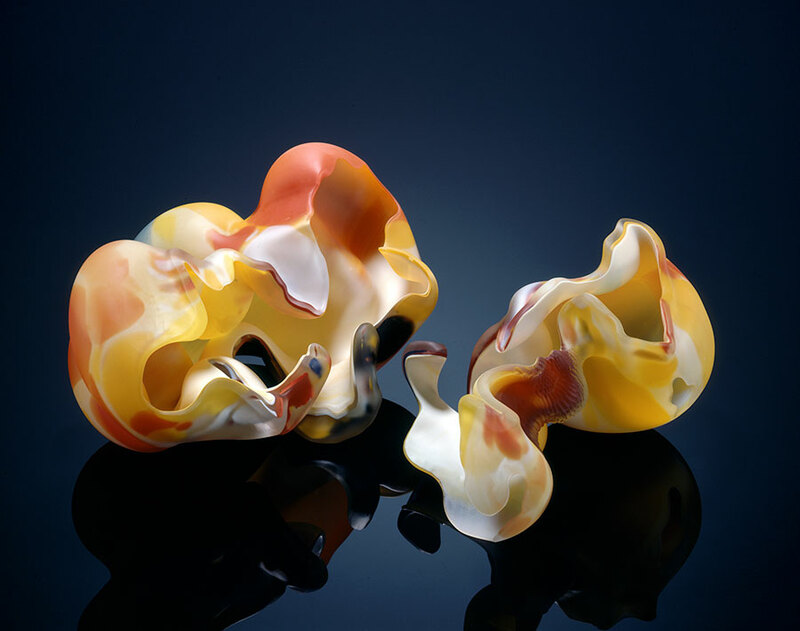 "The core of his work evolved from a multiple gather of hot glass over a hardened form to give extensions, protrusions, and elongations, building almost chains of forms. 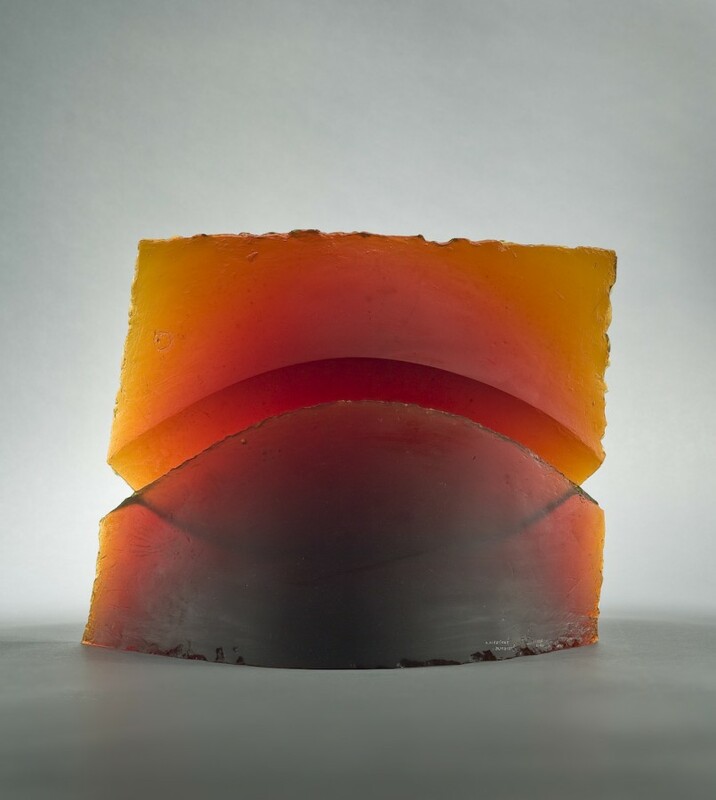 The smooth syrupy glass surfaces held in his energy. 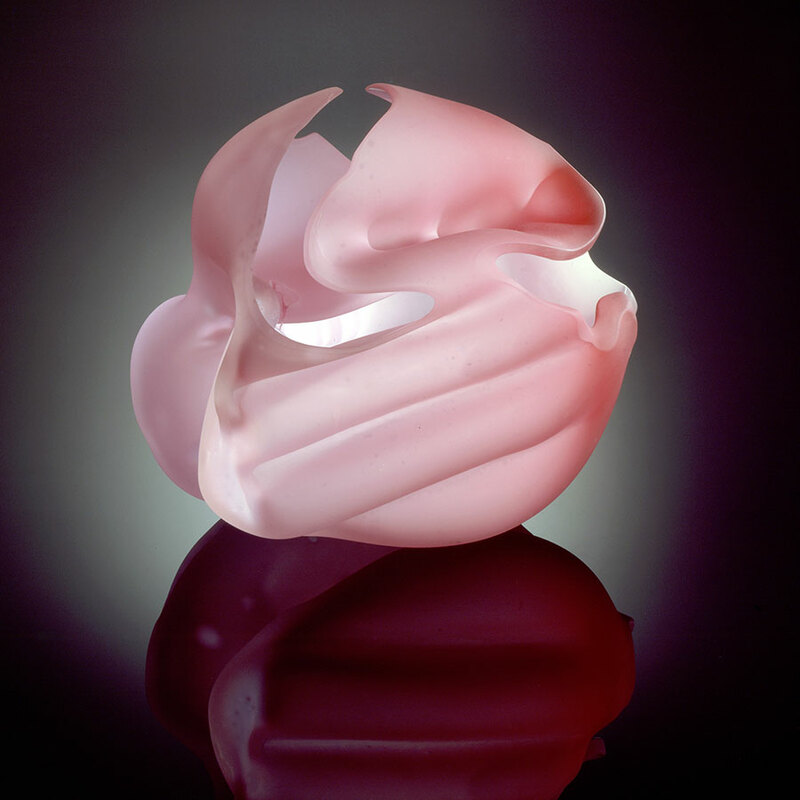 His response was to attack it with combinations of form-destroying mirroring, hard etched line, sandblasted surfaces, copper-plated rough clay additions and lately, fiber flocking. 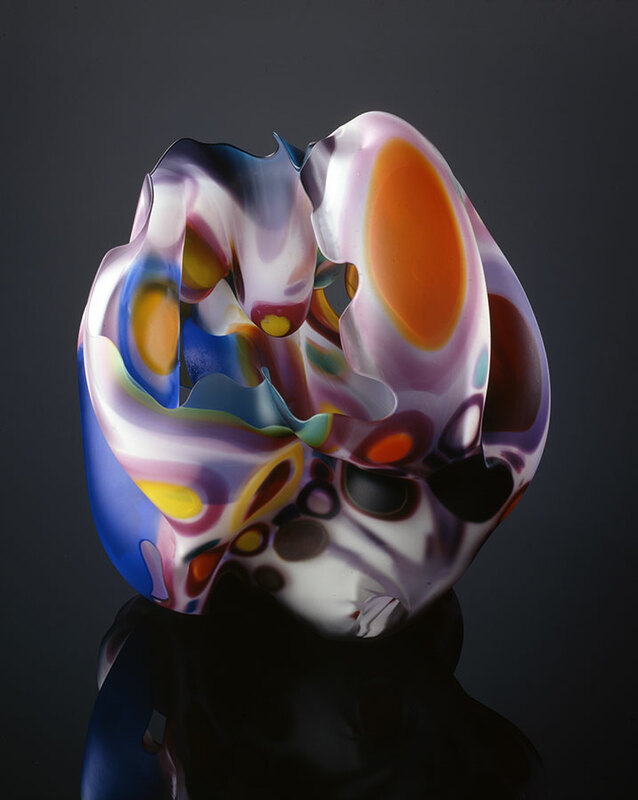 The rhythm of the work in hot glass has worked on him as well, smoothing and soothing and controlling. His technical mastery is obvious and for him no longer an issue. 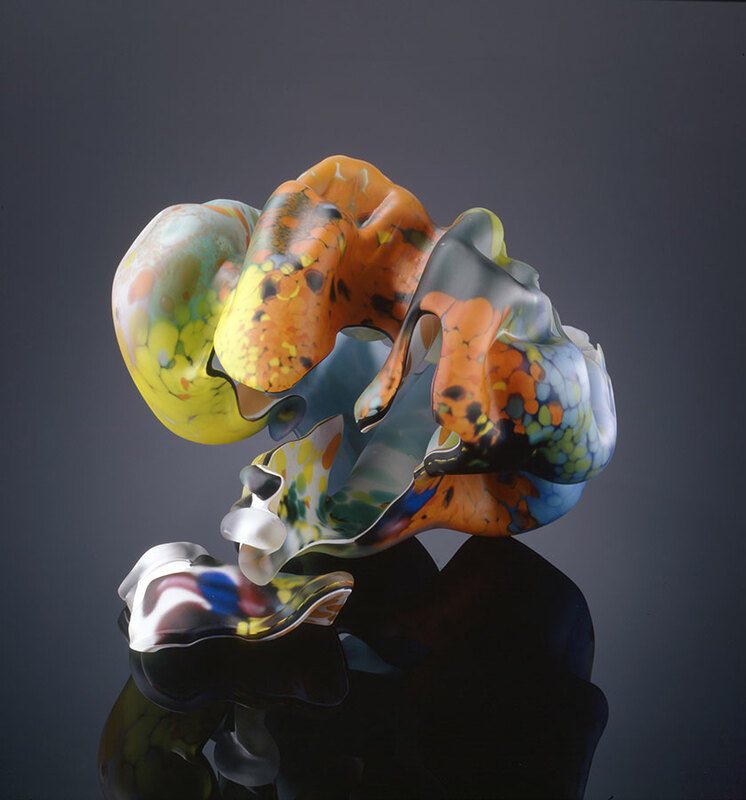 His forms are searching their relationship to surfaces, in boxes, in the air, in environmental spatial relationships and controls. 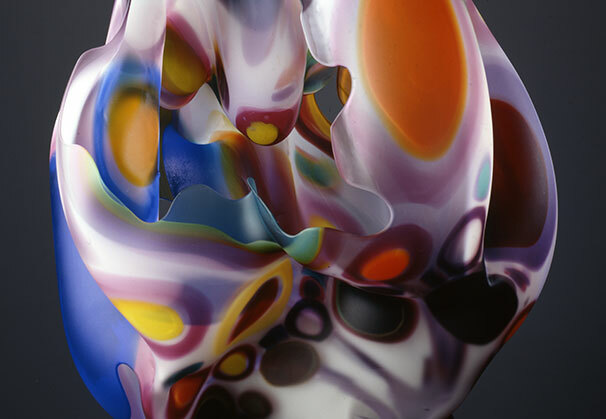 "Marvin’s stacatto person is mirrored in his work, his forms, his material — glass. 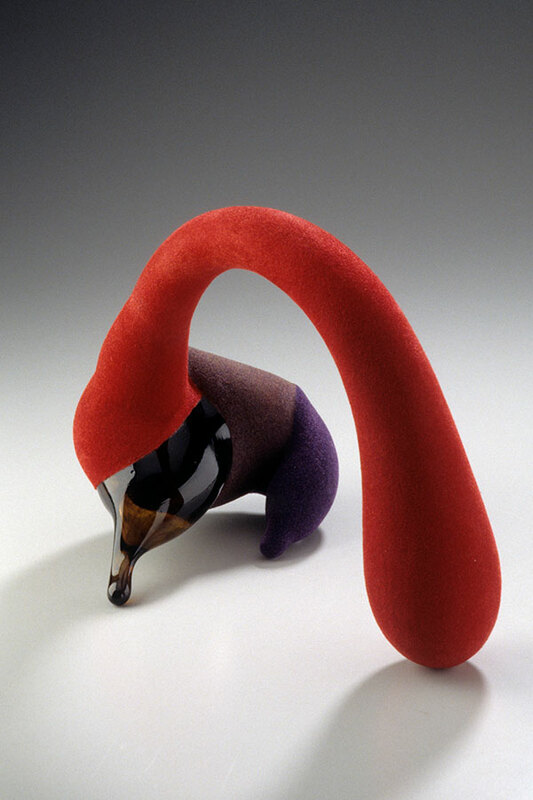 What else can one ask of an artist?” Harvey Littleton, 1969. 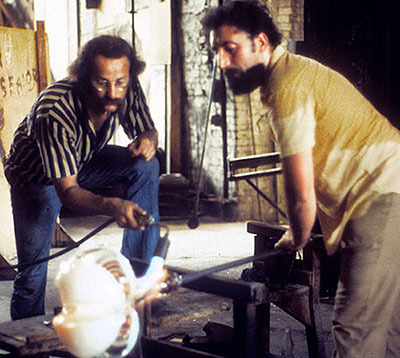 (Photo) Marvin Lipofsky working on his sculpture with Venetian Maestro Gianni Toso at the Venini Glass Factory, Murano, Italy, 1972. 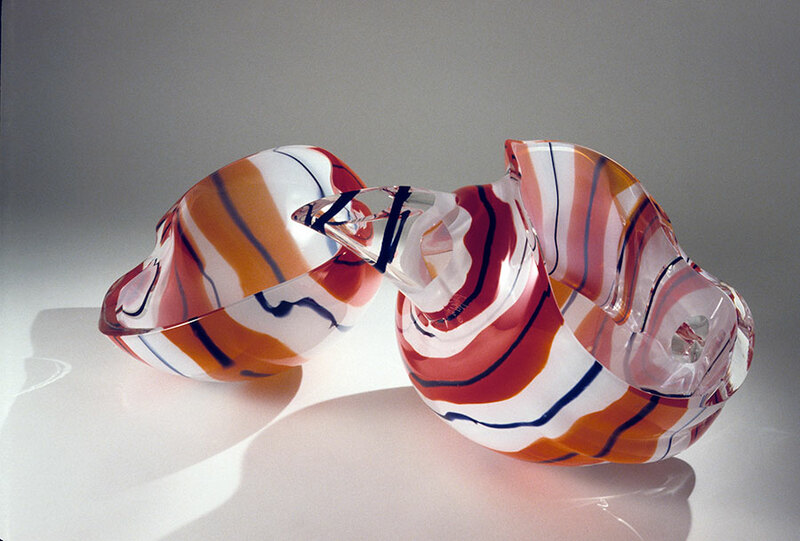 Marvin Lipofsky’s use of glass as a gestural artistic material reinvented a centuries-old craft tradition as a Modernist art form. 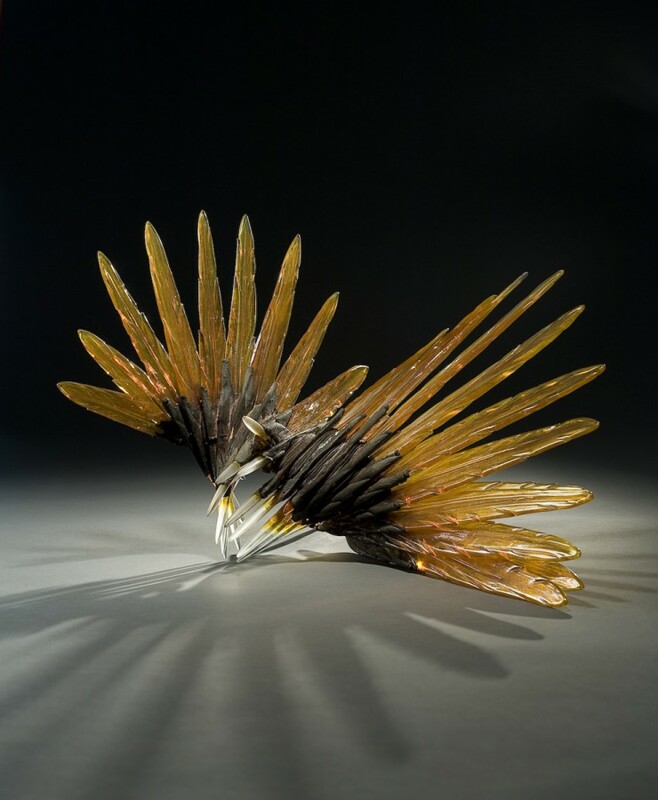 His sculptures crystallize a lifetime of travel and material investigation, as well as the sumptuous colors of the natural landscape, the visceral forms of the body, and the alchemical processes of manipulating blown glass. 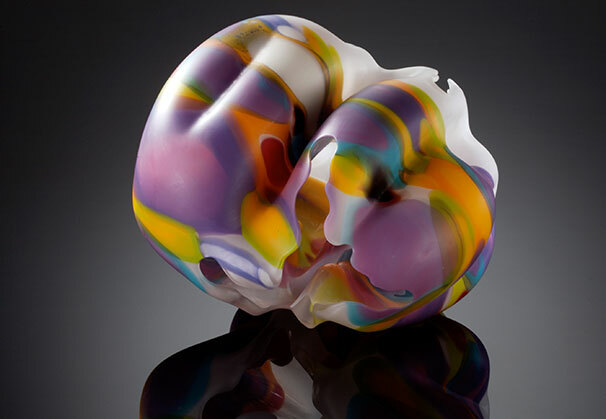 As an artist, educator, and inveterate traveler who became a world citizen and unintended ambassador to the international glass community, Lipofsky has been an inspirational force throughout the glass community worldwide for more than four decades. 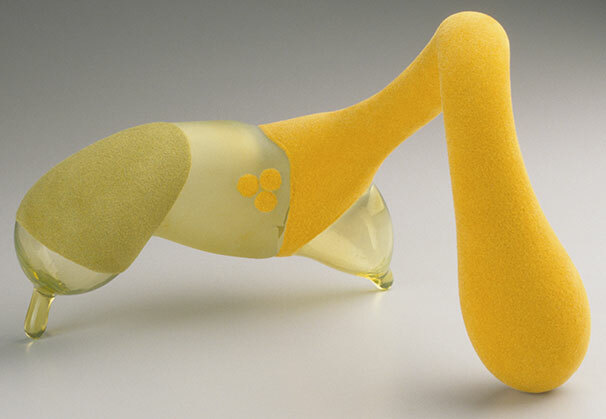 Nowhere has Lipfosky's influence been greater than in the San Francisco Bay Area. 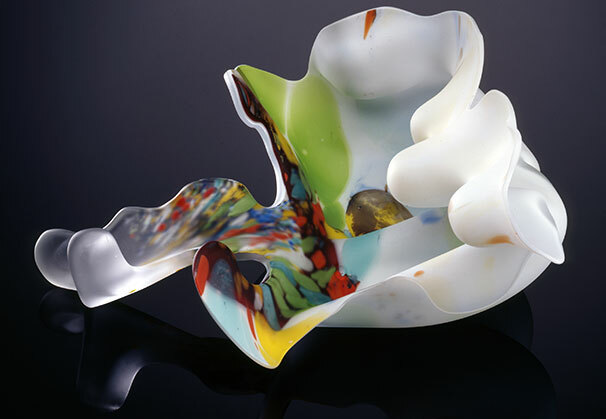 After earning his MS and MFA in 1964 from the University of Wisconsin at Madison under the tutelage of Harvey Littleton, where Liposfky helped build the first studio glass furnace, beginning the American studio glss movement, he initiated glass programs at the University of California at Berkeley in 1964 and at the California College of Arts and Crafts in Oakland in 1967 where he served as chair until 1987. 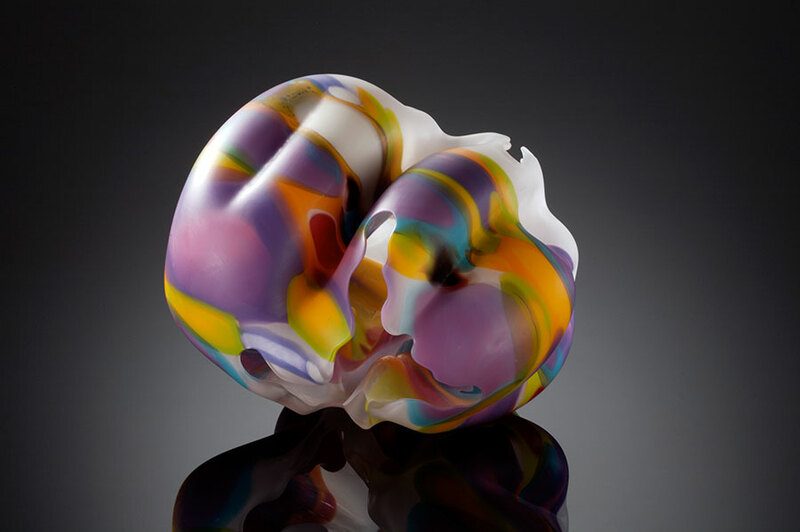 Throughout decades of travel, Berkeley, California has been a consistent point of return for the artist, helping to establish the Bay Area as one of the preeminent centers of studio glass production. 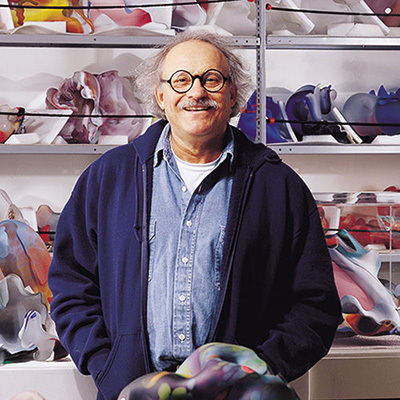 Born on September 1, 1938 in Barrington, Illinois, Marvin Lipofsky died on January 15, 2016 at his home in Berkeley, California. 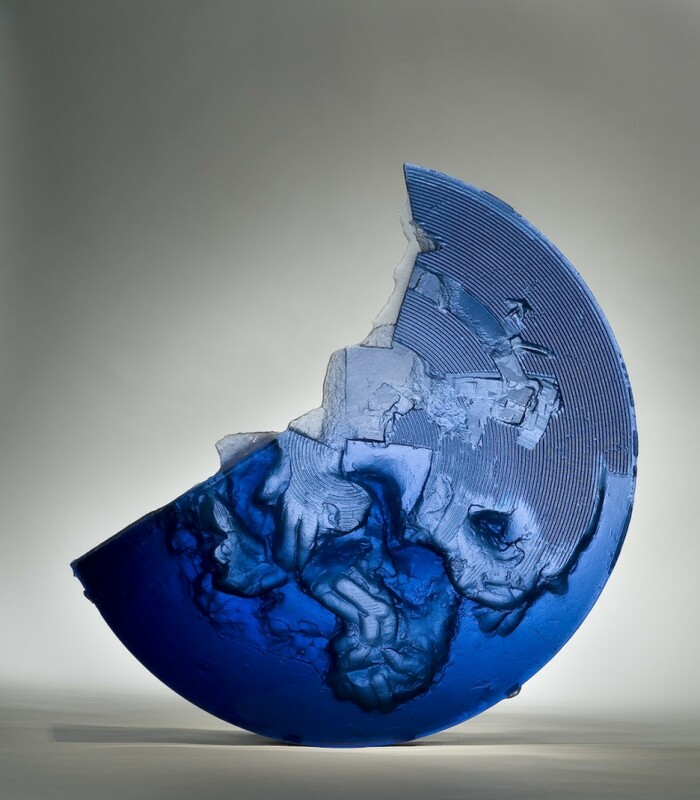 We are grateful to Micaela Contemporary Projects, California, for providing the Artist of the Month.